What I do within classes is not so much “teach” creative writing but more to the point GUIDE them through certain skills and techniques which have worked for me, just in terms of igniting the poetic imagination; that is by being motivated to respond, or motivated to write by listening to music, especially, music with which they might not be all together familiar. There are, even, instances where my use of classic film, music culture including media voices from both the recent and distant past in order to expose a classroom to aspects of American history their sophisticated modernist relatives and teachers may not consider important enough to have rediscovered. I’ve developed a set of teaching tools, skills and techniques designed to motivate students; both K-12 as a Pen in the Classroom instructor and, as an interim lecturer in University writing programs, as well. 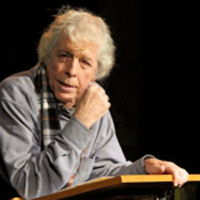 During the 1980s, Michael C Ford conducted a series of lectures and seminars for English teachers in California’s North Central Valley and centered in the University Of The Pacific English Department Curriculum. Utilizing his personally designed language arts learning tools and skills and techniques these workshops were designed to teach K thru 12 teachers varied methods to motivate their students through appropriate elements of the creative process. On several occasions elementary, middle school and high school administrators requested grant allocations to invite Ford into classrooms for a series of hands-on demonstration assignments in order to put his theories into practice. Since the beginning of the ’90s he’s continued with similar Nationwide invitations the geographic spectrum of which has been Boise, Idaho, Cottonwood, Idaho, Ogden, Utah, Provo, Utah, Brigham City, Utah, Dallas, Texas, El Paso, Texas, Auburn, Washington, Portland Oregon, Foster City, Oregon, Upper state New York, as well as schools throughout several Bay Area communities and Los Angeles County suburbs. Over the last 30 years, There has, always, been the inclusion of invitations to Nationwide University English Departments to be an interim adjunct instructor offering guidance to all education majors and already established teachers on many levels of creative endeavor. Michael C Ford is currently offering to conduct writing workshops with following identifications. This course is a practical laboratory for both Education majors, and elementary school, middle school or high school teachers interested in breaking down misconceptions of “creative writing” through a planned experience concentrating on a set of guidelines designed to empower the imagination of students working with words, diction, dream images, fantasy projections all designed to motivate both learning impaired and mentally gifted minors coordinating a more profound appreciation for areas of vocabulary skills, literally, all aspects of the learning process towards improving attitudes of self-expression and, again, exercises using aspects of the creative process: plus drills in the recitation of language out loud. This nurturing environment for educators is, of course, also, a prompter for all writing and performance Theatre Arts majors interested in amplifying their capabilities in creating character lives for both stage and screen. This course is designed essentially for students interested in amplifying both their verbal and technical skills. A class which welcomes all Cinema Arts majors, as well as all those who are attracted to the idea of learning new techniques in writing figurative language. It will be an informal combination of both a media communications course and a literature arts course. Mainly, it is finding different ways to explore the avenues of self-expression through imaginative writing by using the cinematic properties of modern poetry. One might. even, refer to it as 20th-Century Fox Poetics. Here is a short sequence of examples. (1) Alphabet Soup: Inventing 26 ways of cultivating a visionary language (2) Invented Scenery by Numerology: accomplished by using numbers to represent an actual geographic environment. (3) Emotional Memory: the use of recollection experiments in order to define emotional life. (4) Character Monologue: perfecting the voice used to describe one’s interior life. (5) Vision: language used to measure ways of seeing. (6) Animal Imagery: the use of non-human nature to create, among other things, human metaphors. (7) DreamSequence: using fragments of dreams and editing them into rhythm patterns or a diverse pacing of imagistic perceptions. (8) Psychological Gesture: the clustering of words and phrases defining one’s own psychic observations. (9) Soundtrack Music: permission to allow melodic structure and rhythm patterns of motion picture music to inspire a free associating of images to define areas of time of day, geographical location. seasonal aspects and the emotional landscape; then, selecting a film genre and using heightened imagery making an imaginary movie inside your mind. Creative writing inspired by an exploration of the relationship between the use of imaginative and figurative language inspired by all aspects of images projected in music culture. Many times student writers will be even more creatively motivated by listening to music from genre sources they never knew existed. This course is based on the discovery that creative impulses may be enriched through the experience of listening to a set of musical genres through which writers, by variations on melodic structure and rhythm patterns, will find a different set of intensifiers to redefine their poetic imaginations. This workshop environment is listed as an auxiliary class in the University English Dept. curriculum welcoming all education majors, most especially, those with a future in elementary, middle school or high school assignments. It is a nurturing environment, wherein K thru 12 teachers become familiar with ways and means to motivate kids by involving them in the creative process. Author Michael C Ford has been invited to teach teachers as an adjunct instructor and interim lecturer in National Universities and annex education projects over the past 38 years. He has been, essentially, sharing with education majors and established teachers as well a personally developed set of language arts exercises high school or middle school, even, elementary school teachers might use to motivate kids in the art of creative thinking which will, within the realm of individualistic writing. This full semester of studying aspects of language arts allows teachers hands-on experience to better comprehend the creative process in order to better encourage classroom students to improve, again, vocabulary skills, use of descriptive language, in-group communication or, simply, cultivating attitudes of creative self-expression, eventually, leading to creative accomplishment and amplified self-esteem. Although by its very nature, students with a Writing Program terminal are welcome, as well. This will be a step-by-step overview of a role the evolution of adventure fiction periodicals played in the growth and development of “popular” literature in the United States. And one must remember being popular did not mean, necessarily, less classical by standards of literary tradition (i.e., Mark Twain was popular: Edgar Rice Burroughs was popular: Raymond Chandler was popular). This seminar workshop will not be one of those “teach you how to write” classes. In the same sense, however, a study of speculative fiction magazine history in 1872 through the course of years, until its undocumented demise in 1958, still, might inspire interested students to examine the vicissitudes of American violence and, irrespective social status or vocation, probe, with writing scalpels, the body Politic. In that case, any on-going study by this class could, very easily, initiate the creative process; and writers, either in the bud or in full bloom, might be inclined to compose language art through constructive contemporary kinds of individual adventurous thinking. Classroom sessions working with poet/playwright & audio-journalist: MICHAEL C FORD whose 1987 Grammy nomination was for his spoken word and music vinyl disc (SST Records) marketed under the title Language Commando. Between June of 1969 and December of 2012, he had collaborated in concert with The Chamber Jazz Sextet, as well as Jim Morrison, Ray Manzarek, Robby Kreiger, Jimmy Witherspoon, D Boon, Mike Watt, John Dentino, Exene Cervenka, Henry Rollins, Debra Ash, Michael Campagna, Page Cavanaugh, Jello Biafra, Mama Lion, Ruth Price. Since 2006, he’s contributed associative lyrics in concert with a 4-tet of vocalists who perform in concert as Alone Together: Cathy Segal Garcia, Cheryl Barnes, Stephanie Haynes & Sherry Williams. This workshop is, essentially, providing sensory exercises, as associated with previously recorded rhythm patterns, melodic structures and chord changes. A composer’s accumulation of sensory images is designed to enrich the projected original lyricism beyond the predictable leery schism of the usual rhymed cliché.